In 5th Grade with Teacher Julia: Students Created BONES!! 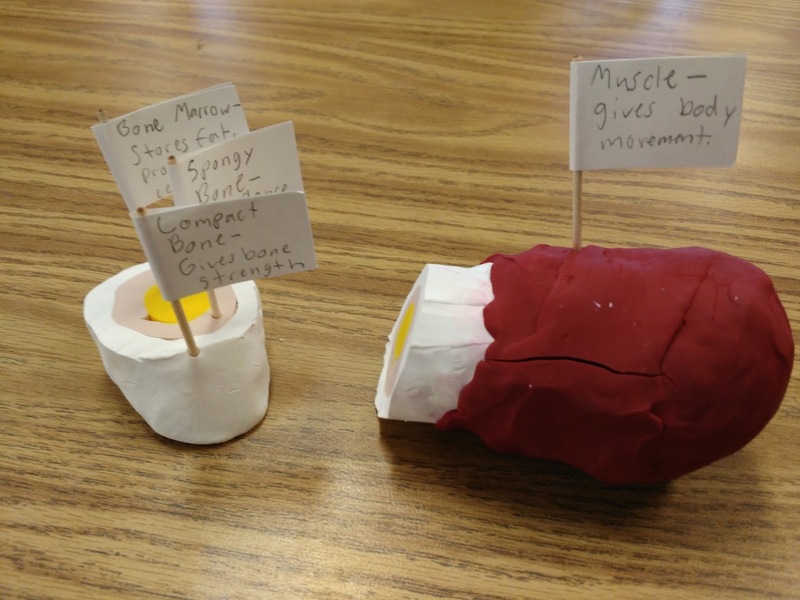 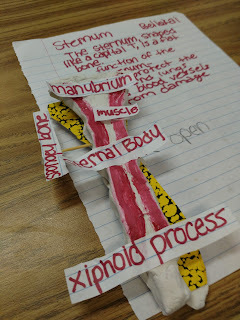 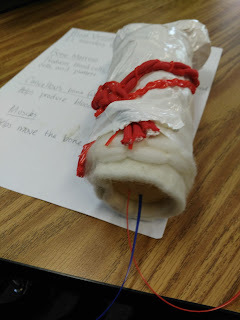 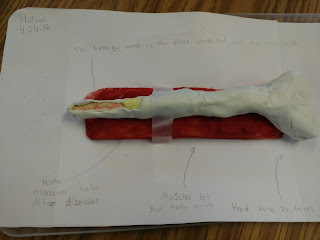 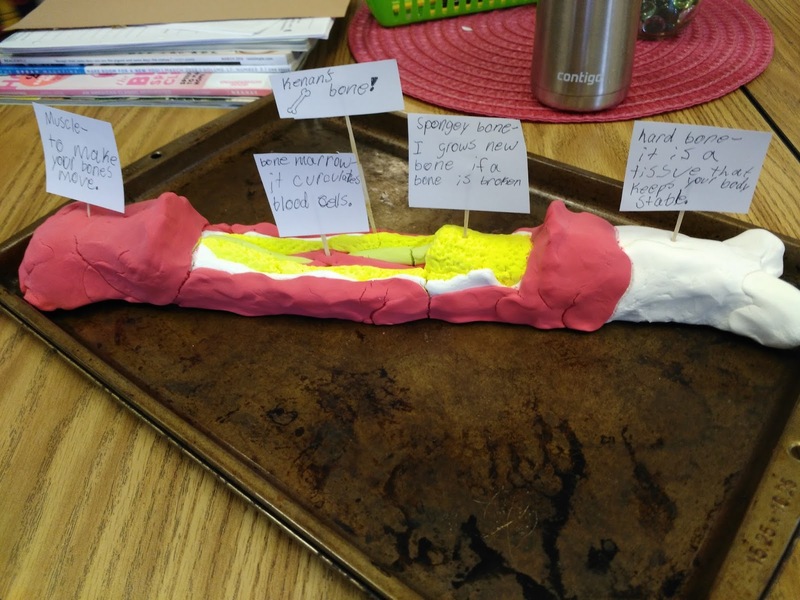 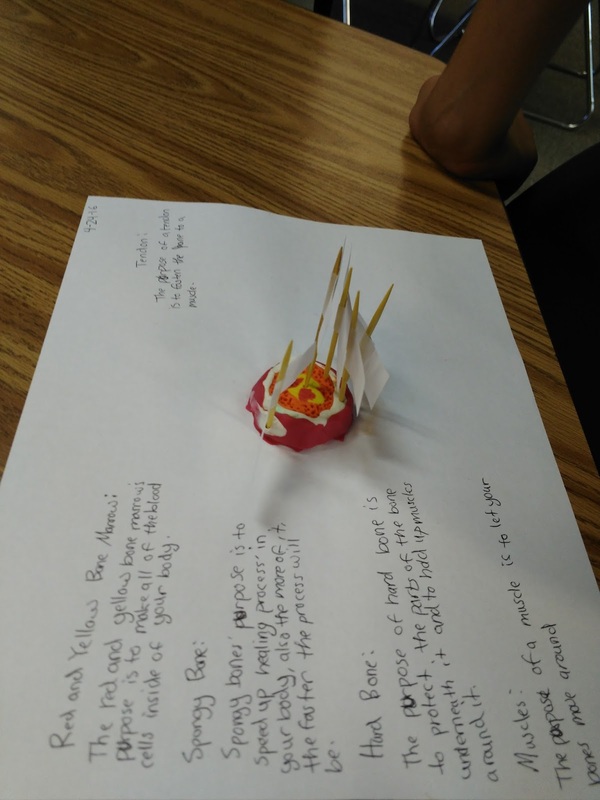 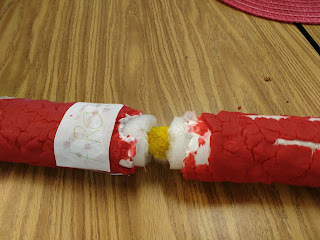 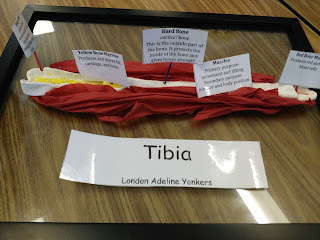 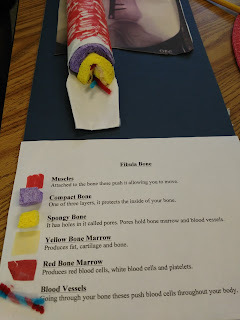 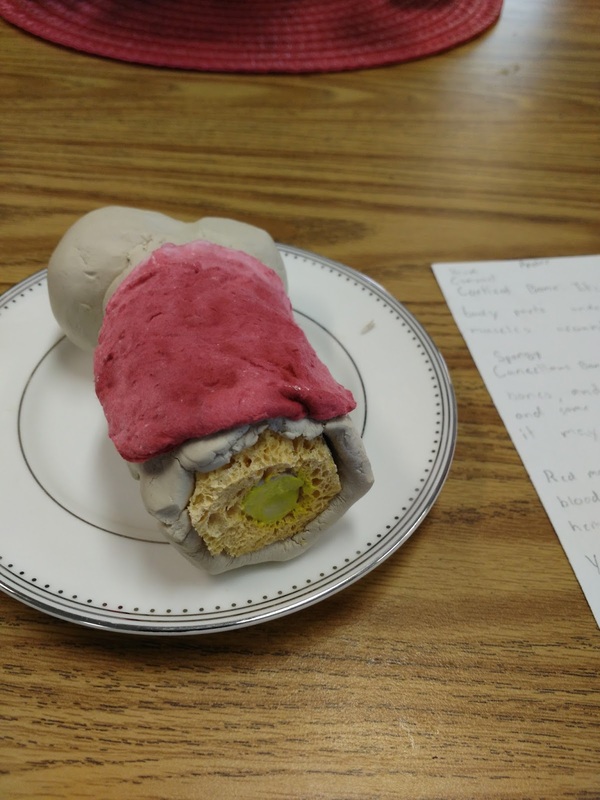 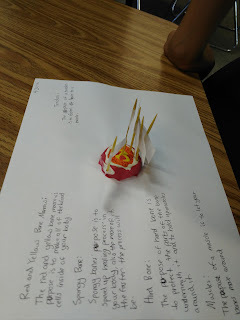 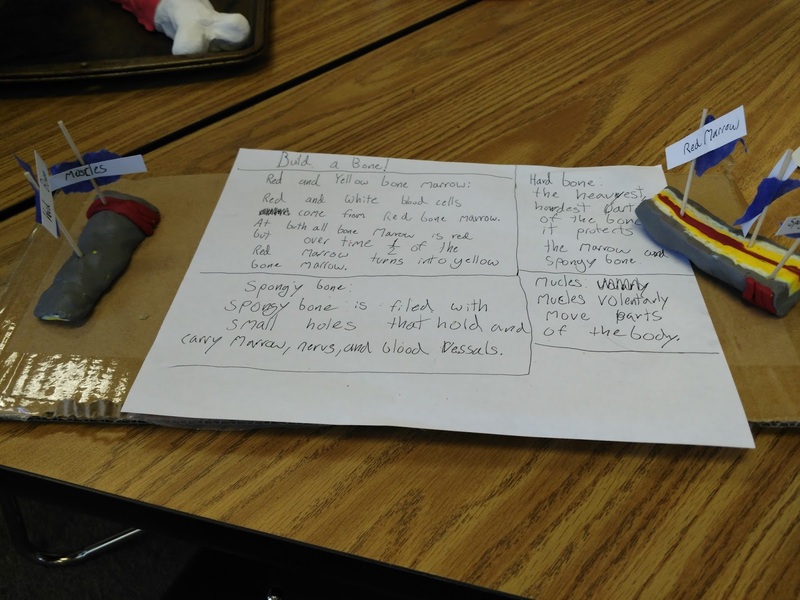 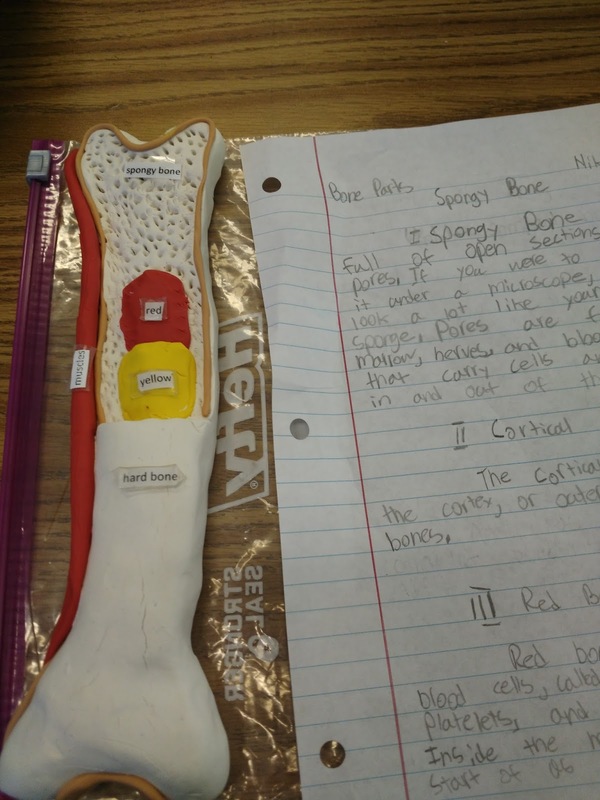 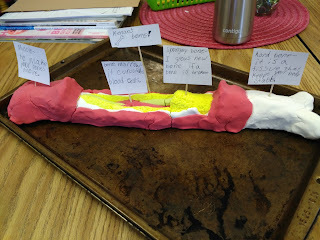 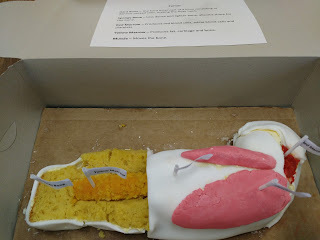 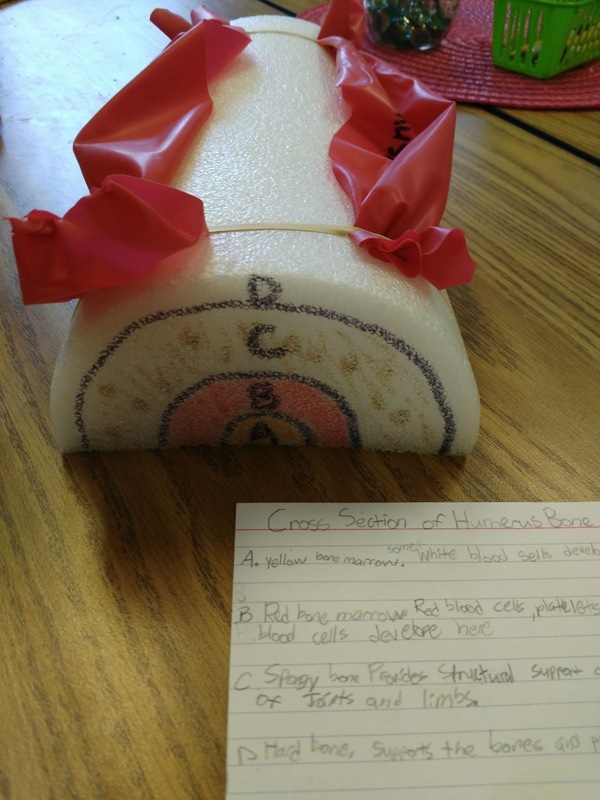 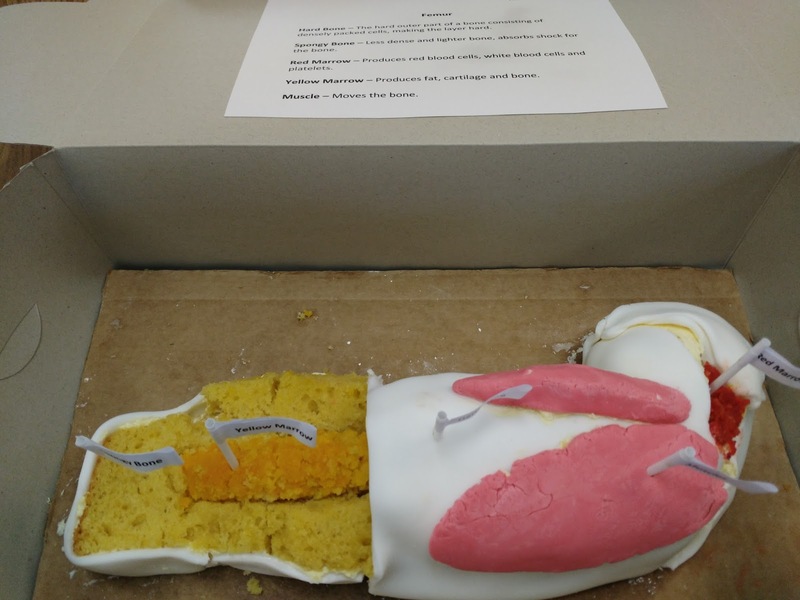 To culminate the Skeletal System part of our unit, I simply assigned students to create a structure that depicted certain parts of the bone (hard bone, spongy bone and red & yellow marrow). 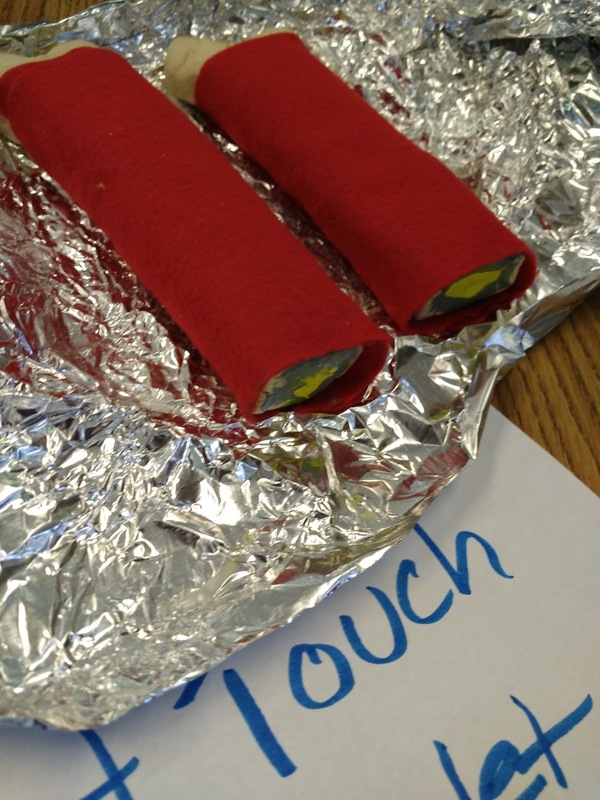 I left it up to them to decide on what materials to use and how to label and describe each "job" of the layers. 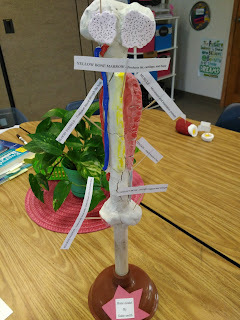 This was so much fun to see! 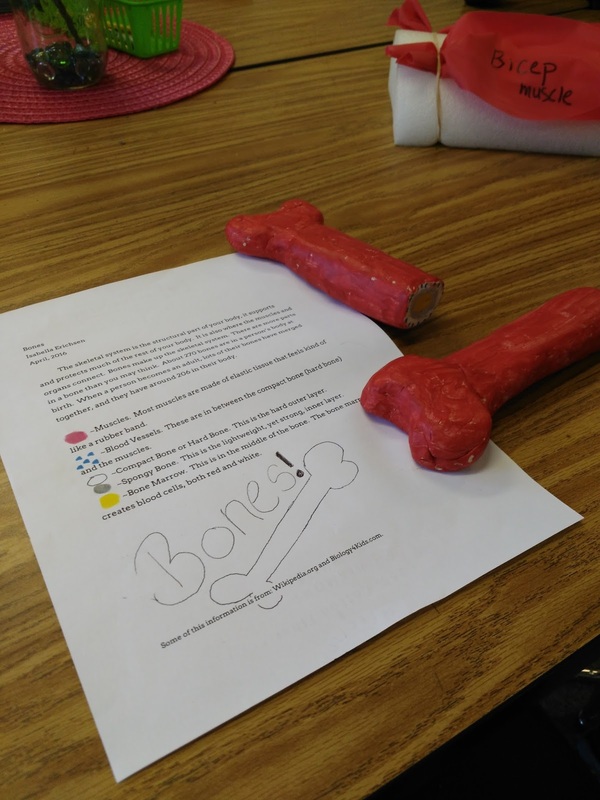 Today, I had students place their bones on the tables and we did a quiet museum walk. 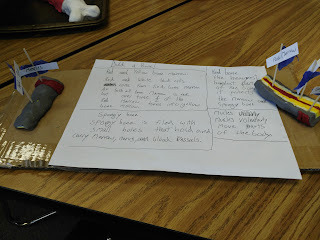 I set my phone for 5 minutes and when the timer went off, we came back to the carpet and I told them all what a great job they did!